Increasing visibility and reducing glare, adaptive front-lighting systems (AFS) like Adaptive Driving Beam (ADB) enhance safety and comfort for both drivers and traffic participants. A shining example is automatic adaptive control of light distribution depending on the situation, allowing for glare-free always-on high beam. 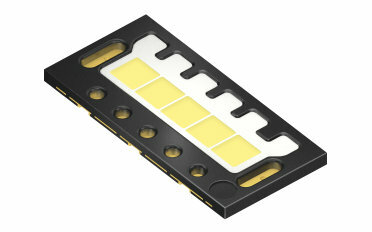 OSRAM Opto Semiconductors’ LED technology has the potential to lift AFS matrix beam applications to the next level, with new styling options, improved functionality and scalability. 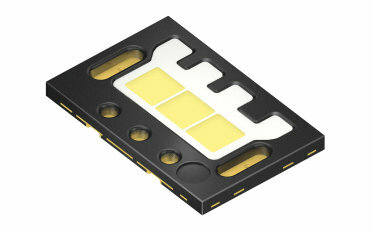 This new product of OSRAM Opto semiconductors is the first SMT multichip LED with individually addressable chips. It combines benefits from both the OSLON Black Flat package and OSRAM OSTAR Headlamp package. 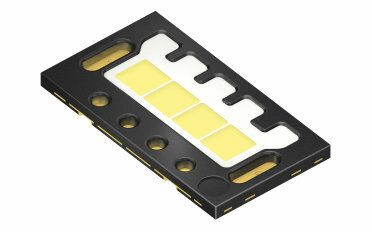 Featuring our new chip technology with notch less chips, optical design can be simplified and further future brightness improvements are made possible. OSLON Black Flat S shows an optimized layout of thermal pads that help to dissipate the heat effectively, ensure light homogeneity and further improve second level reliability. As a SMT package it is possible to integrate these new functionalities and improved features easily and cost-efficiently using standard SMT processes.